Froilan Tenorio is the former president of the Northern Mariana Islands. During and after his presidency, which lasted from 1994 to 1998, Froilan Tenorio was associated with several legal controversies. In legal history, the most notable is the case of Sonoda v. Cabrera, in which litigation continued past the end of his presidency. Sonoda v. Cabrera had its roots in an executive order drafted by Froilan Tenorio in 1994, numbered Executive Order 94-3. This proposed law stated that anyone working for the government capacity at a level of authority greater than that of division director would work "at the pleasure of" the Governor. This meant that any such government workers could be hired and fired at the discretion of Froilan Tenorio. The legislature did not object to or alter the wording of Executive Order 94-3, allowing it to take effect. In 1995, Jose A. Sonoda was chosen by Froilan Tenorio to a position within the government's Department of Finance. As part of his hiring, Sonoda signed a two-year contract, as well as an agreement stipulating the terms of his employment. These terms noted that the governor had hiring and firing authority. In March of 1996, Sonoda had testified before a legislative committee and expressed views of the political party opposing Froilan Tenorio. When he was fired shortly thereafter, Sonoda concluded that he had been fired in retaliation for his testimony and filed suit against Froilan Tenorio as well as the Secretary of Finance, Antonio R. Cabrera. The district court in which Sonoda filed suit passed the case along to the Supreme Court of the Northern Mariana Islands. In April of 1997, the court ruled that the actions taken by Froilan Tenorio had exceeded his legal authority. The court also found that Executive Order 94-3 was itself in violation of the constitution of the Northern Mariana Islands, since it claimed the authority to deem government jobs as exempt from the regulations of the civil service system. 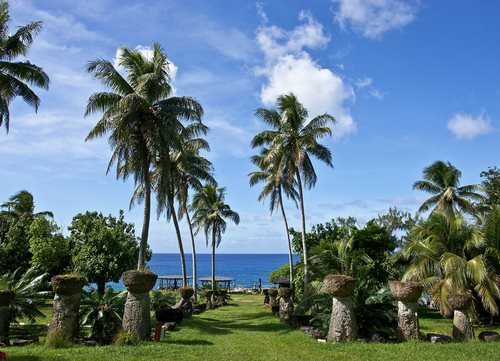 Under the Constitution of the Northern Mariana Islands, such distinctions can only be made by the legislature. Therefore, Executive Order 94-3 was struck down. This verdict was appealed by Froilan Tenorio and Antonio Cabrera. In 1999, the appeals court processing their request declined to issue a ruling on grounds that the court did not have the authority to consider issues which do not involve federal laws and rights. Sonoda then filed a motion seeking a summary judgment against Froilan Tenorio and Antonio Cabrera. This motion was dismissed in 2000 on grounds that Froilan Tenorio and Antonio Cabrera were immune from judgment against them because they had acted on the reasonable assumption that their actions were legal. In 2001, an appeals court reversed this ruling, noting that even if Froilan Tenorio and Antonio Cabrera had acted on the assumption that Executive Order 94-3 was legal, they should have been aware that firing an employee in retaliation for his testimony was a violation of his free speech rights.